Yesterday, while sitting in a long distance bus on my way back to Berlin from Rotterdam, I started reminiscing about the Día de Muertos, a Mexican two-day festivity celebrating the memory of the dead. 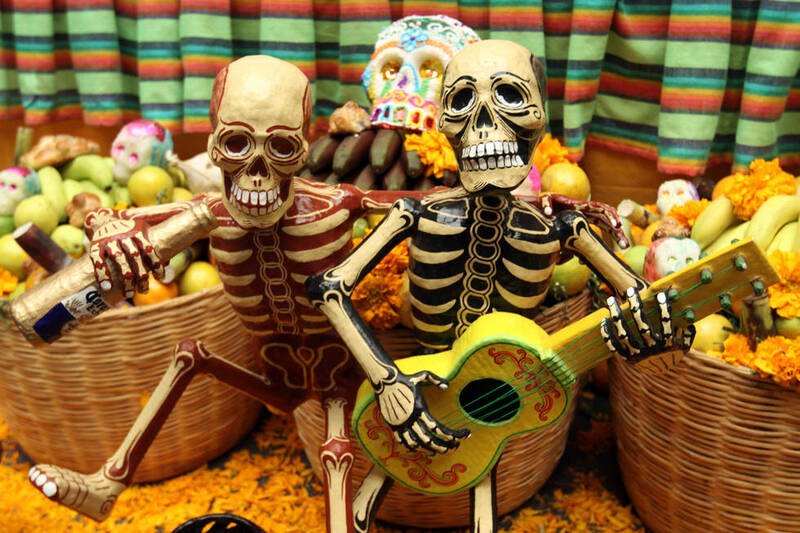 The Day of the Dead begins on the eve of November 1st, otherwise known as All Saints’ Day. All Saints’ Day was in turn paired to the Gaelic pagan festivity of Samhain, elements of which inspired Halloween. 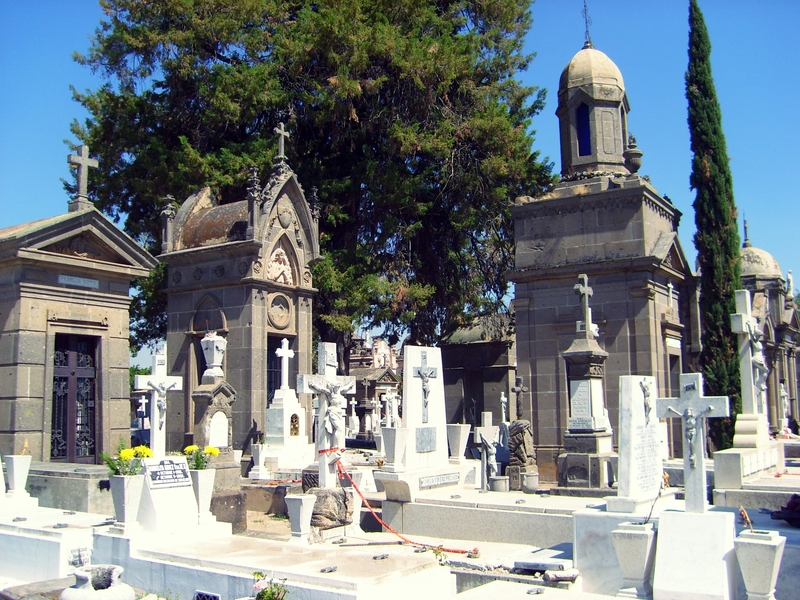 Gravestones at the historic Panteón de Mezquitán in Guadalajara, México. The Day of the Dead is a holiday that I’ve never personally observed even though I grew up in Guadalajara, Mexico. 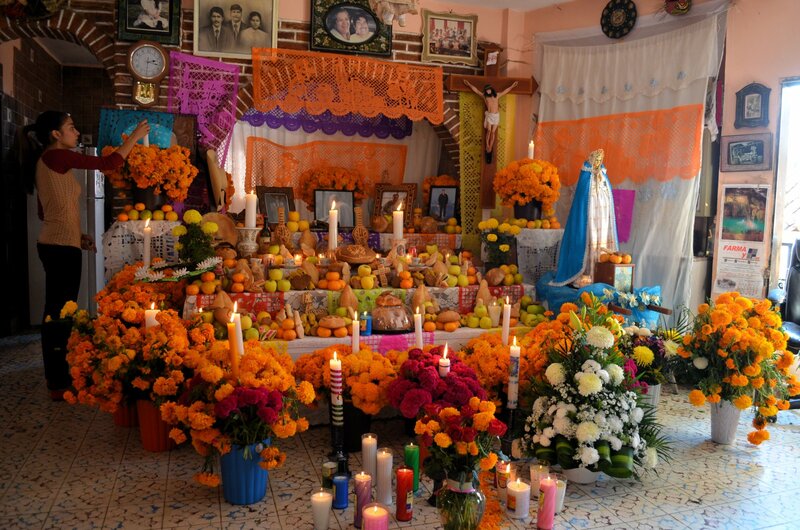 I still remember the colorful Altares de Muertos in some public places and schools, though. I likewise remember the sugar skulls and traditional decorations—overshadowed as they were by the ubiquitous Halloween paraphernalia. 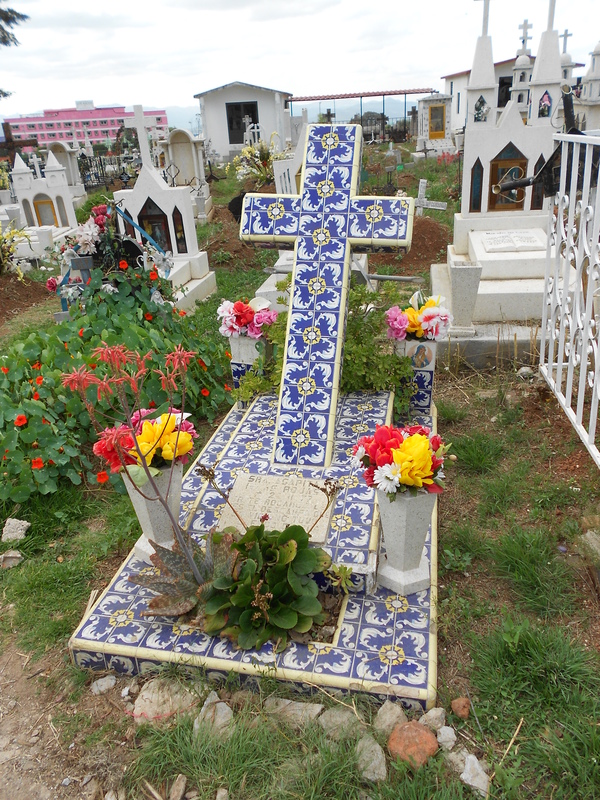 A colorful gravestone in Atotonilco el Grande, Hidalgo, Mexico. 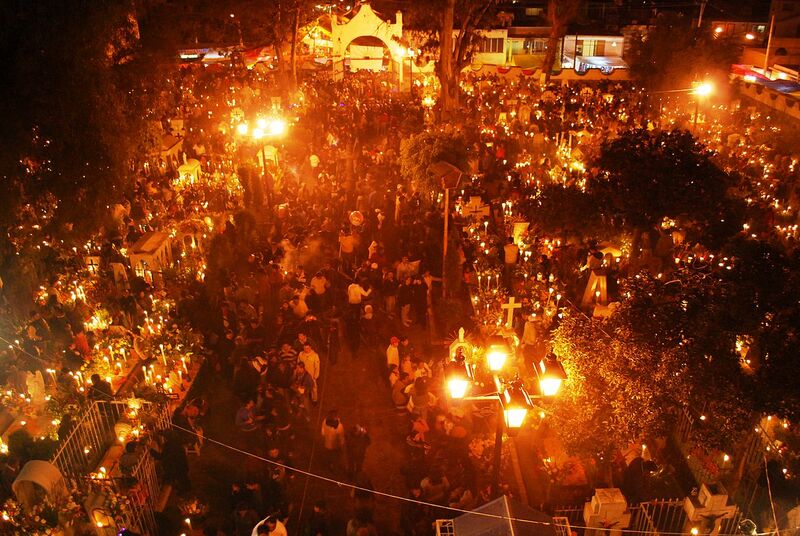 Though widespread, the Day of the Dead is not celebrated everywhere in Mexico. In many cities, especially in the North, it was not observed at all until after it was turned into a national holiday and its celebration encouraged in schools in the 1960s. When I was a kid, my classmates and I were encouraged to bring a portrait of our deceased loved ones to school to place it on the Altar de Muertos—though we of course only cared about going trick or treating after school. At home, my parents would make mention of deceased relatives on that day, but we never set up an altar. There are some traditional elements of an Altar de Muertos, namely papel picado and marigolds. Traditional foods include sugar skulls and pan de muerto—a special kind of sugary bread produced only for this holiday. This kind of bread is placed on a grave or altar as an ofrenda (offering) and is left there overnight for the dead to eat. The bread is said to lose its flavor overnight. 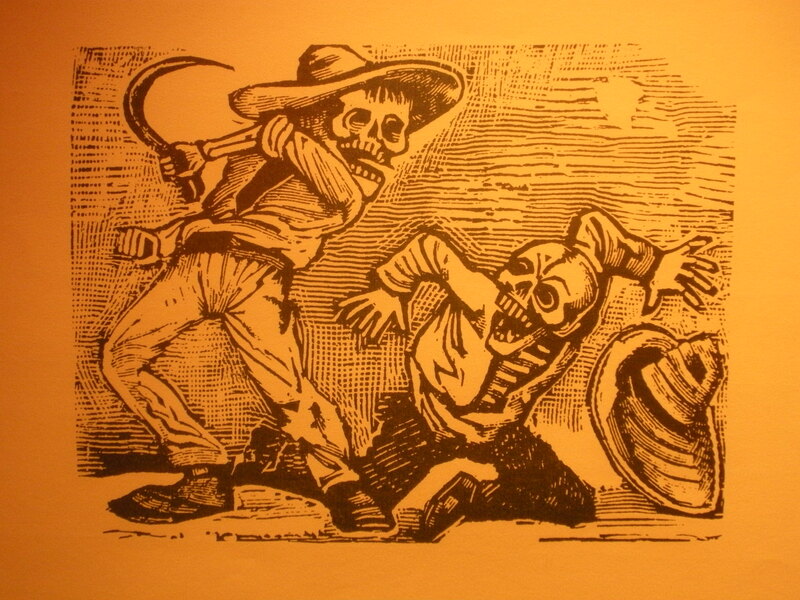 The Day of the Dead has received more and more interest in the past few decades also due to a chauvinistic understanding of it in Mexico as our holiday—and as a reaction to the rising popularity of Halloween. 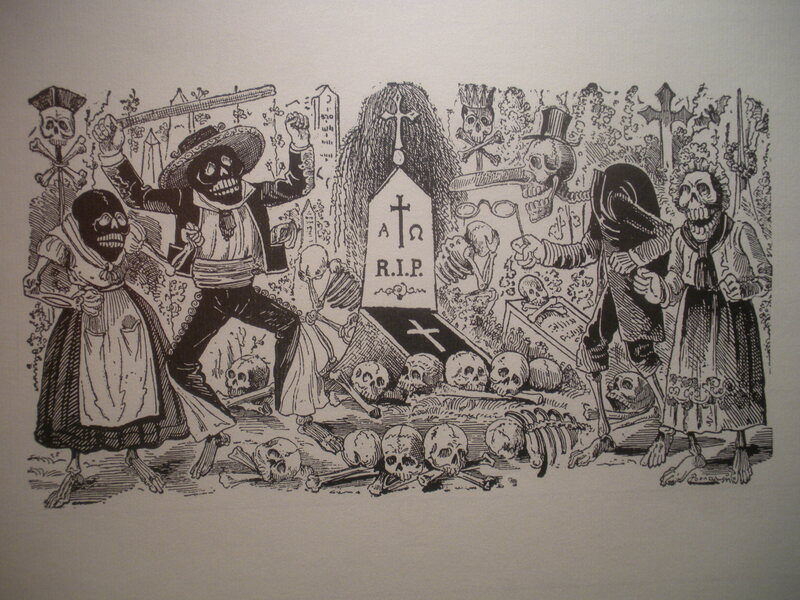 However, the Mexican Day of the Dead is a holiday that was born out of the symbiosis of the old Mesoamerican cult of the dead (which was originally celebrated in Summer) with the Catholic customs of the Spanish Conquistadores, which is why the Día de Muertos is celebrated on All Saints’ Day (in turn originally a Pagan holiday). Thus, the Día de Muertos is not a purely prehispanic holiday as is often asserted, though the cult of the dead behind it can be traced back to the world view of the indigenous peoples of Mesoamerica, particularly to that of the Aztecs, in which Death played a central role. 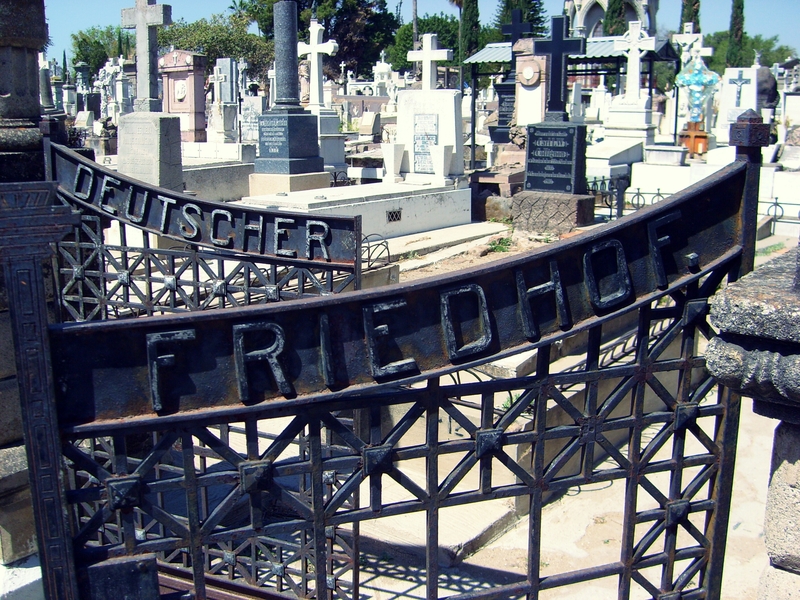 The German section of the Mezquitán cemetery in Guadalajara, México. 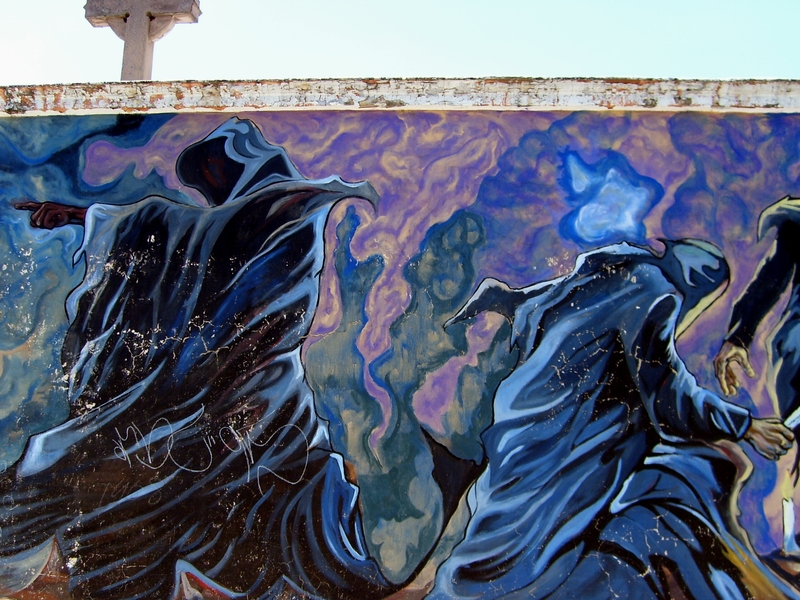 A mural outside the Mezquitán cemetery. According to the tradition, the family and friends of the deceased will pay them a visit in the cemetery on the eve of November 1st, bringing with them some of the things the deceased enjoyed in life. 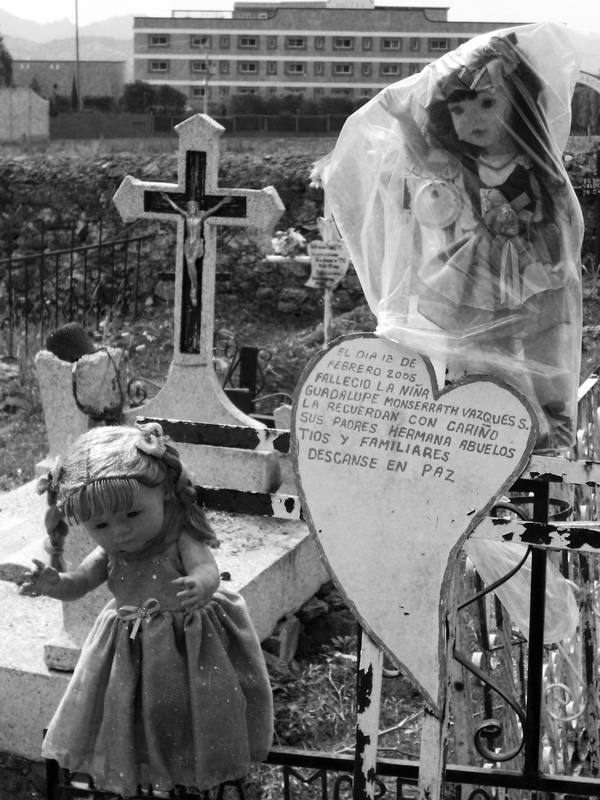 Shot glasses, bottles, food, toys, and diverse objects adorn the gravestones of Mexican cemeteries during the festivities. People sit by the graves, sometimes overnight, and keep their dead company. Orange marigolds, laid upon the gravestones, glow in the light of burning candles. If a visit to the cemetery is not possible, an altar may be set up at home. Songs, cheeky poems called Calaveritas, and stories reminiscing of the lives of the dead turn what would otherwise be a solemn occasion into a celebration. The allegorical caricaturization of Death further diminishes the mournful aspect of the encounter between those who already left and those who haven’t. 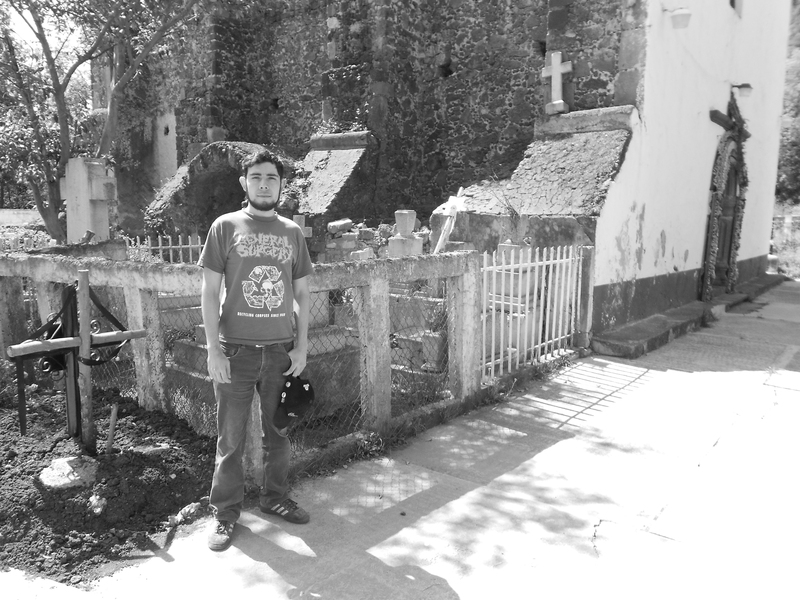 The author in Santa Catarina, Hidalgo, Mexico. While some aspects of this tradition might appear morbid at first, the celebration has something endearing to it. The memories of the dead are brought back to the world of the living in a colorful yet solemn celebration of their earthly existence. At the same time, it is a very unique celebration due to being colorful and merry as opposed to solemn, which characterizes the observance of All Saints’ Days in other cultures. Take it as it comes: From Heidelberg to Berlin on a whim.